Mark's Tickets is the best place to find tickets for Harry Connick Jr. fans. Just check this page for any new events or schedule updates throughout the year. We sell tickets to every Harry Connick Jr. concert around the world. We know how passionate Harry Connick Jr. fans can be about jazz & blues music, so we make sure to have hundreds of tickets for every concert available right up until showtime. For those looking for cheap Harry Connick Jr. tickets, we offer tickets starting at very low prices (many times below face value). We offer tickets in most sections of every venue that Harry Connick Jr. performs. Simply choose the city or venue that you are interested in below, and you will be able to see all of the available seats. Do not forget that Marks Tickets also specializes in sold out Harry Connick Jr. tickets. 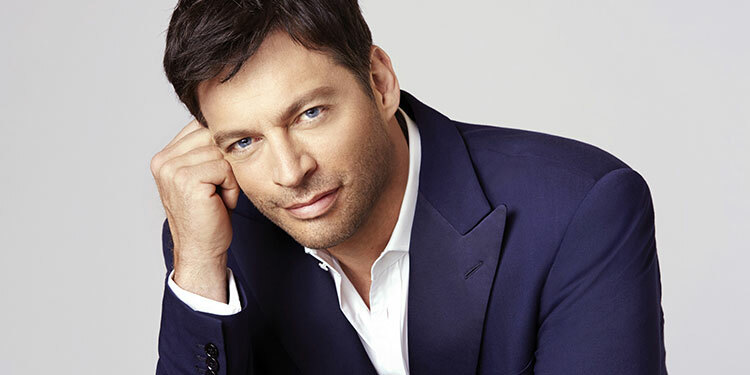 No longer will sold out shows prevent you from seeing Harry Connick Jr..
.Joseph Harry Fowler Connick, Jr. (born September 11, 1967) is an American singer, conductor, pianist, actor, and composer. He has sold over 25 million albums worldwide. Connick is ranked among the top 60 best-selling male artists in the United States by the Recording Industry Association of America, with 16 million in certified sales. He has seven top-20 US albums, and ten number-1 US jazz albums, earning more number-one albums than any other artist in the US jazz chart history. Connick's best selling album in the United States is his 1993 Christmas album When My Heart Finds Christmas, which also is one of the best selling Christmas albums in the United States. His highest charting album, is his 2004 release Only You which reached No. 5 in the U.S. and No. 6 in Britain. He has won three Grammy awards and two Emmy Awards. He played Grace's husband, Dr. Leo Markus, on the TV sitcom Will & Grace from 2002 to 2006. Connick began his acting career as a tail gunner in the World War II film, Memphis Belle, in 1990. He played a serial killer in Copycat in 1995, before being cast as jet fighter pilot in the 1996 blockbuster Independence Day. Connick's first role as a leading man was in 1998's Hope Floats with Sandra Bullock. His first thriller film since Copycat came in 2003 in the film Basic with John Travolta. Additionally, he played the violent ex-husband in Bug, before two romantic comedies, 2007's P.S. I Love You, and the leading man in New in Town with Renée Zellweger in 2009. In 2011 he appeared in the family film Dolphin Tale as Dr. Clay Haskett.